Don’t procrastinate. If you put off the things you need to accomplish, you may realize 2018 is right around the corner before you’ve even started. Invest in your wardrobe. Whether you’re looking for a job, or you’re already part of the workforce, owning a quality outfit can set you apart from the competition. Consider investing in a suit for interviews, or durable shoes for the workplace. Learn a new skill. It’s never too late to learn something new, and there are countless ways to add to your skillset. Think of the skills you’d like to learn, then take advantage of the Internet’s many educational resources. Clean up your social media profiles. When’s the last time you looked back at your Facebook or Twitter posts and photos from years ago? Chances are, there may be photos, statuses, or tags that don’t paint you in the best light. And since potential employers often look at your social media accounts when considering you for a job, be sure to represent yourself in the most professional way possible. Learn from your co-workers. There may be times when your company could benefit from allowing you to cross-train or shadow someone on the job. Consider asking your supervisor for the opportunity to learn from others. Take a class. Many communities offer courses in subjects like computer programs, marketing tips, and interview techniques. Check out opportunities available in your area, and sign up for a class today. Join a professional organization. Depending on your career path, there may be a professional organization you can join. These organizations are designed to help you network and further your skills, and they’re also a great addition to your resume. Create a LinkedIn profile. If you don’t have a LinkedIn account, what are you waiting for? There are thousands of recruiters on LinkedIn right now, and they may be looking for candidates just like you! Gather your references. Maintaining an updated list of references is a good practice, even if you’re not actively job searching. Since you meet new people every day and relationships often change, ensure that your list is up-to-date before you need to use it. Send a thank-you note. If you are in the job search process, you know it’s important to send a thank-you note after an interview. But, what if you’re not currently looking? You can still send notes of appreciation to those who make a difference to you. Consider sending a thank-you note to your supervisor, an old friend, or a co-worker who helped you on a project. Everybody likes to feel appreciated. Make a plan for stress relief. Sometimes, stress is unavoidable. But, you can take steps to lessen the impact stress has on you. Think of ways that help you manage stress when it hits. Maybe it’s meditation, yoga, or exercise. Perhaps reading is relaxing for you. Find what helps you through tough times before they happen. Do something for yourself. Life moves quickly, and everyone has busy days. In all of that busyness, you may find that you haven’t taken any time for yourself. Stop for a moment and do something just for you. Go for a walk, buy yourself a coffee, read a book, or watch a movie. Get active. We all know how important exercise is to our overall health, but many of us can’t find the time to make it a priority. Even if you sit at a desk all day, there are still ways to be active. Try simple desk exercises, or go for a walk on your lunch break. Give back. Volunteering is great for so many reasons. First and foremost, it’s an excellent way to give back to your community and help those in need. It makes you feel good, helps you meet new people, and network. Often, you can learn a new skill, and of course, volunteering looks great on your resume. Find causes that matter to you and explore how to volunteer your time this year. Become a planner. Some people are planners, others are more spontaneous. Whether or not you like to structure your day beforehand, make it a habit to get your plans on paper. If you have goals you want to accomplish, write them in your calendar. Jot down important appointments, and keep track of your successful days so you can look back at them later. Start a budget. The term “budget” often comes with a negative association, but the truth is, being financially responsible is important to your success. Having funds available in an emergency is essential, and you can start on that path today. Review all of your debts and payments, calculate how much you need to save to reach financial goals or start an emergency fund, and begin the process of saving. Become (or find) a mentor. If you’re new to the workforce, you may feel overwhelmed. There’s certainly a lot to learn. Thankfully, there are millions of others who have gone before you, and it’s easy to find a mentor who can guide you on your career path. Likewise, if you’re experienced in a certain subject, you may seek out mentees to take under your wing. 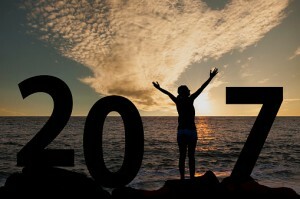 These are just 17 of the many ways to help make your new year outstanding. Get started today and good luck in 2017! What additional tips do you have for starting the year off right? Share with us in the comments section below! 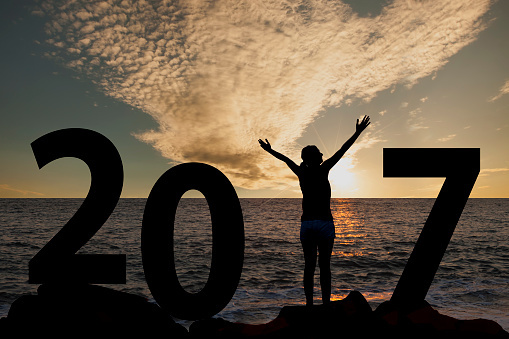 Previous Post Poll – What Are Your Career Goals for 2017? This was very helpful to me and I really appreciate the information. Thank you!